Obsession is a strong word. 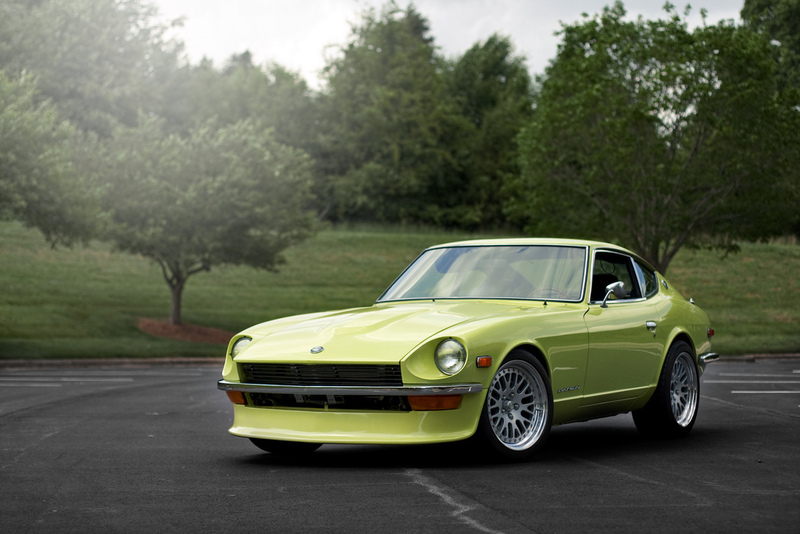 However, when talking about Jared Cullop and the Datsun Z, obsession is the correct word. 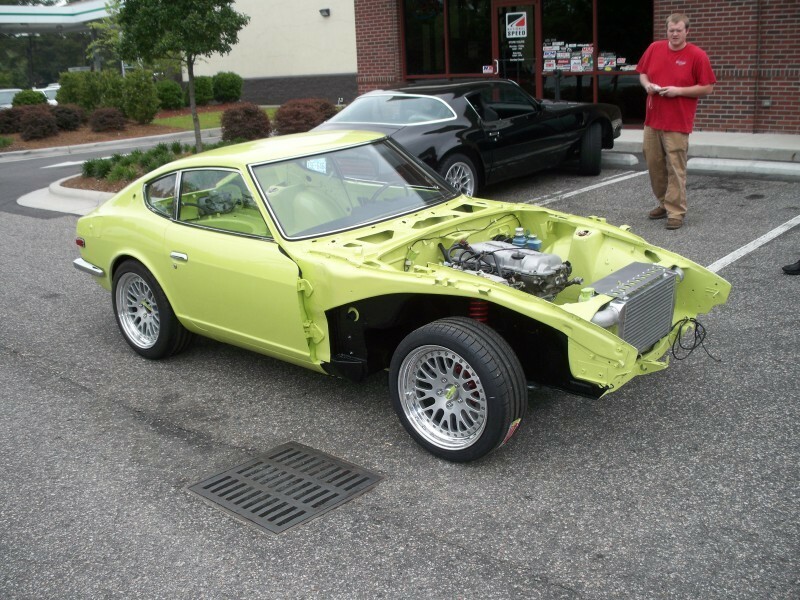 Roots of the obsession began early as Jared was driven home from the delivery ward in his parent’s 2+2 260Z. Later, his first car was a 280Z. 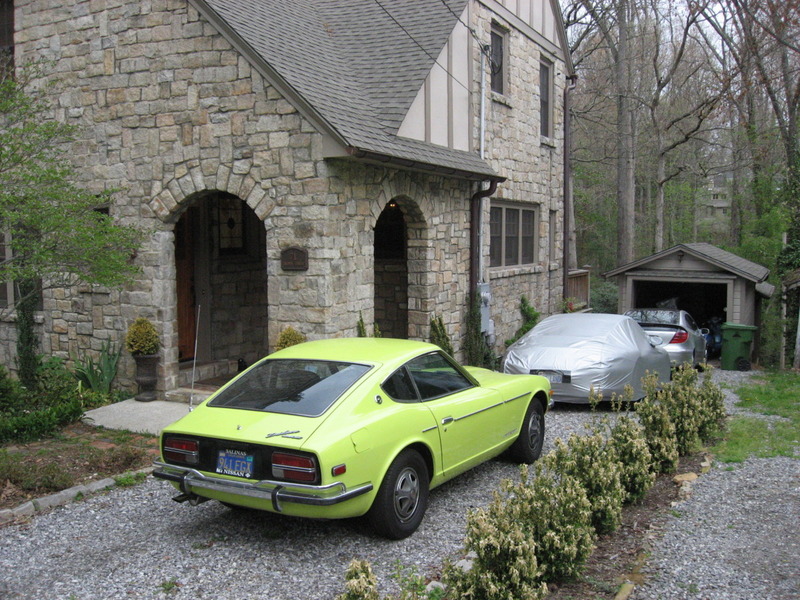 His next car was also a Datsun Z, as was the one after that. And the one after that… All in total Jared has owned 14 Datsun Z cars over the course of his lifetime, flipping these cars for a profit is how he survived college. It wasn’t until his website design and marketing company became successful that he was able to realize his dream build. While this car was a long time in the making, needless to say, it was well worth the wait! When looking at the base for this project, it’s easy to see why Jared’s family seems to be fixated on this car. 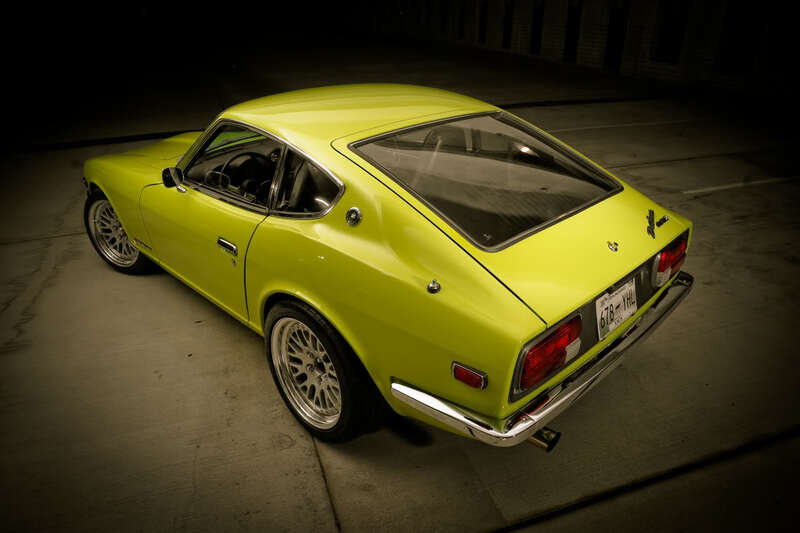 The Nissan S30 chassis (sold in Japan as the Nissan Fairlady Z and in other markets as the Datsun 240Z, then later as the 260Z and 280Z) was manufactured from 1969-1978. Designed to be a direct competitor to the European sports coupes of the time, its performance, affordability, and now iconic styling garnered praise from press and public alike. 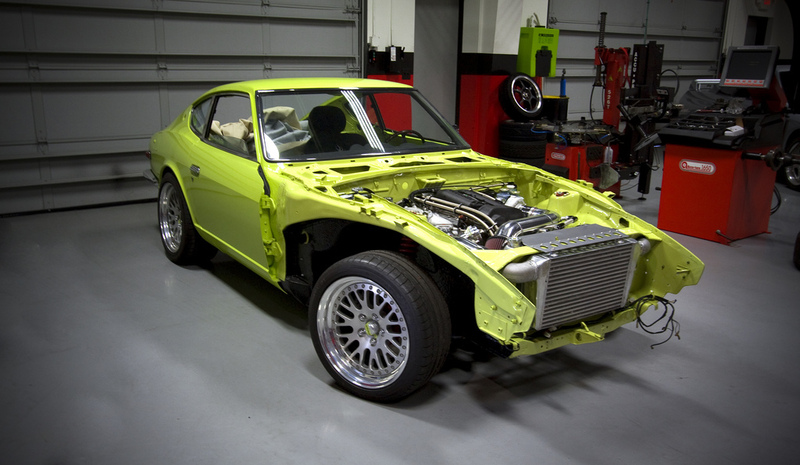 The S30 has since gained a cult following of enthusiasts who restore, race, and tune these machines to their fullest. Not to mention the numerous appearances in media such as video games, manga, and anime such as Wangan Midnight. The roots of this particular build reach back to Jared’s teenage desire to build the Z of his dreams. 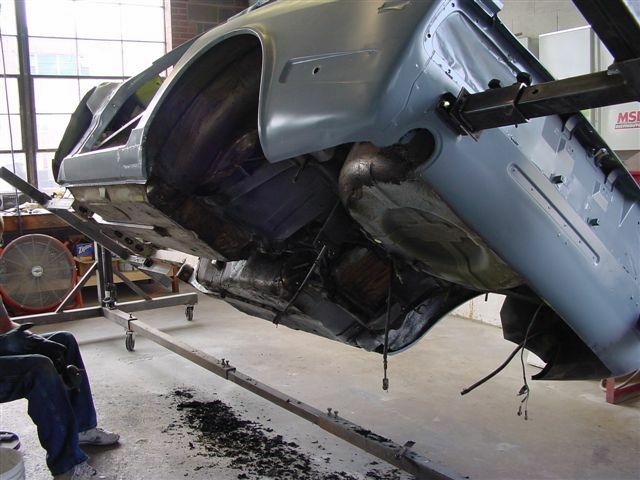 “’72 was the year I was most attached to,” he states, “because both of my uncles had ’72s.” Starting point marked, a donor car was eventually found in San Francisco then immediately delivered to Miller Brothers Hot Rod Barn in North Wilkesboro, NC for a no-expenses-spared body and paint restoration. 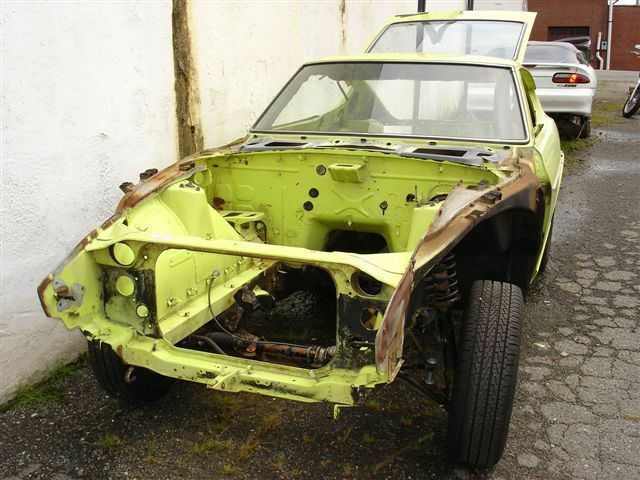 Among the myriad of operations performed were taking the body to bare metal to ensure not a speck of rust existed, heating and stretching the frame to beyond factory straightness, and a factory spec lime green paint job brought to a mirror-like sheen. Once Jared was assured to have the most immaculate S30 chassis on the planet, the car was finally delivered to National Speed and the powerplant quandary came to the fore. Initially, Jared contemplated going with first an old-school L28 hybrid, then the legendary RB26, before finally being cajoled into a blacktop SR20 by our Founder, Jordan Watson. What began with an S15 sourced SR20DET continued with, what could only be referenced to as, a plethora of the best parts on offer. Internally the engine boasts Mahle 86mm 8.5:1 pistons (4032, for OEM-like thermal expansion properties), Eagle H-beam connecting rods with ARP 2000 bolts, ARP cylinder head & main studs, ACL connecting rod & main bearings, Cometic MLS cylinder head gasket, Brian Crower 264/264 camshafts with matching valve springs & titanium retainers, with Tomei rocker arm stoppers keeping the valve train in check for those 8,000RPM+ spins. Boost duties are handled by a National Speed assembled custom turbo kit, consisting of a Garrett GT3071R turbocharger with V-band inlet/outlet turbine housing, TiAL Sport 44mm wastegate & 50mm blow-off valve, brought together with intercooler & custom charge piping. Power slides through a Competition Clutch lightweight flywheel & Stage IV clutch, into a Nissan Silvia S14 5-speed transmission, and down the Nismo R-200 LSD & 300ZX half shafts before meeting the custom 17” CCW Classic 3-piece rollers. Ensuring the corners stay planted are the jobs of some Arizona Z Cars Track-Pak coilovers, billet control arms, billet steering knuckles & camber plates. 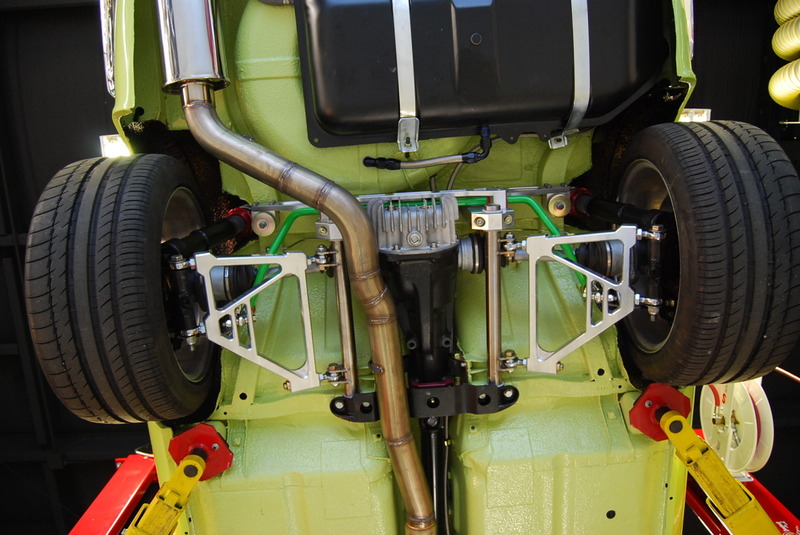 Momentum custom camber plate covers, and ST sway bars. Truly, though, an engine’s potential is only realized through its tune and Vlad, our in-house roller demon, was on hand to ensure the Z went as fast as it looked. However, something a bit non-standard was included on this one… Considering Jared’s Z has a wet weight of around 1-ton, you would assume that 320whp would be plenty, right? Well, should he feel froggy, all Jared need do was flip a small switch located on the knee panel for an extra 117whp! That’s 437whp worth of 4th gear, rolling burnouts in a car that weighs less than most Civics. How much more fun could you want? Alas, as with so many seemingly perfect marriages of form and function, t’was not to be forever. After having used the car only for special occasions, being so well done that fear of hurting the car became too much, Jared was left with three choices: “One, which was not even an option, was to set it aside and look at it. That’s just not me,” Jared regretfully pines. “Two would be to learn to drive this… madness and risk it. Then three would be to sell.” And, in a story stranger than fiction involving mysterious phone calls, a car crazy sheik, and 6-figure sums, the Z was off to its new owner. Now, trust this writer when I say that, with as many cars that we have built, we definitely still get attached. But, while we will miss seeing such a beautiful Z around the states, well… Astra inclinant, sed non obligant.